More and more people are using devices to collect health-related data in nearly continuous streams. This seems like a good idea. But it's likely to be more of a hindrance than a help until your doctor has the tools to digest all this data. 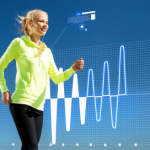 As activity trackers and wearable health devices have grown in popularity, so too has the prospect that the data generated by these devices will provide meaningful context in our conversations with health professionals. Alas, this deluge of fresh information is often being rejected by the industry, at least that’s what a recent study is suggesting. The study tested the expectations of both patients and their doctors with regards the kind of data generated by wearable devices, with a clear divergence in expectations. “We’ve heard doctors say more and more that people bring this data into the clinic and they’re just overwhelmed by it. When you’re managing chronic disease or symptoms, day-to-day lifestyle tracking data can be useful, but doctors don’t have a way to use these data efficiently and effectively,” the authors say. The study saw patients using a mixture of measurement tools, including old-fashioned paper diaries, with the worrying suggestion that these simpler methods produced better data than more technologically advanced tools. This was largely because the healthcare industry had developed a number of well used methods for working with paper diaries, whereas no such methods exist yet for wearable data. This was especially so when it was the patients themselves who were initiating the conversation by bringing their own data to the consultation. Of course, there are also issues about the credibility of the data generated, and there remains a sense that the wearable market is something of a wild west at the moment in terms of quality and reliability. “As a provider you feel pressured because you want to help and interpret the data that people are bringing you, but every format is different and none of the data is validated,” the researchers say. As I’m sure many of you can attest however, once one starts to measure their data, it can quickly become very addictive. What’s more, they often hope that their doctor will have a similar spike in interest in their data as they themselves are experiencing. Whether it’s viewing the data more regularly, helping the user make sense of the data, or even coaching and supporting the patient in the upkeep of their data, there is an increasing expectation of the doctor from data hungry patients. “Once patients start tracking data, they often see every day as a success or struggle. And people want their doctors to engage with it at that level, but that is totally impractical in the amount of time providers have,” the researchers say. Whilst the task might seem insurmountable for clinicians that are increasingly pressed for time, the report suggests that even a minimal level of interest in the patients data can reap rewards. A little understanding really can go a long way it seems. Which is perhaps just as well, as you sense that the data deluge is only going to increase.